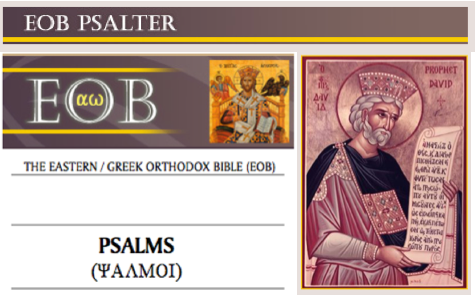 The Eastern / Greek Orthodox Bible – EOB • Based on the Septuagint and the Patriarchal Texts of the Greek Orthodox Churches with Extensive Notes and Appendices. For sample verses from the translation by Laurent Cleenewerck, click here. Comments: Print made from pdf. This is an excerpt from the planned EOB Old Testament and paginated 906 to 1017 (=111 pp). Scripture text in single column, printed verse-wise; chapters are counted both after the MT and the LXX. Psalm- headings are translated. Comments: Print made from pdf. This is an excerpt from the planned EOB Old Testament and paginated 1266 to 1269 (=4 pp). 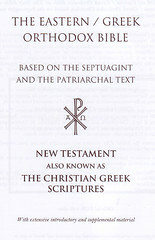 Scripture text in double column, printed paragraph–wise with headings; copious footnotes with variant readings and brief textual explanations. 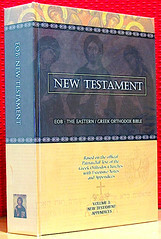 Title: New Testament (Vol. 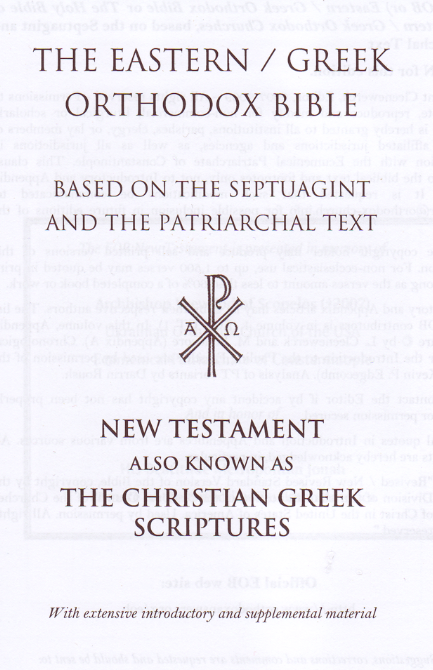 3) • Also Known as The Christian Greek Scriptures / with extensive introductory and supplemental material. 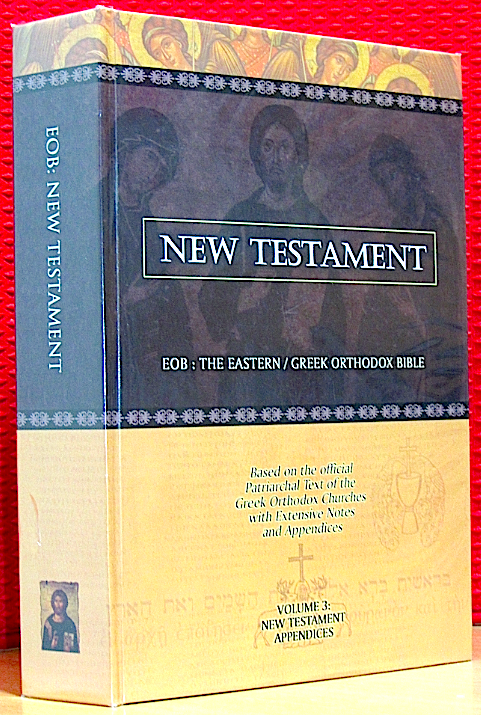 Contents: New Testament in the traditional canon. 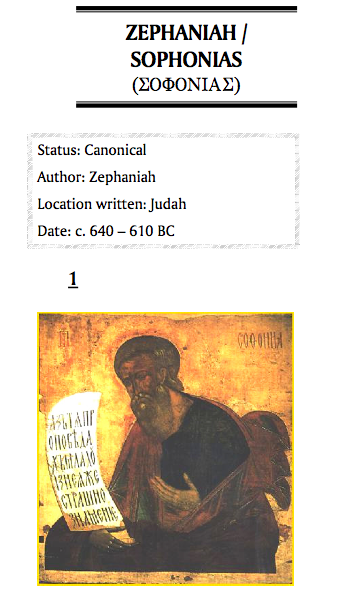 – Introduction: Abbreviations & codes; Table of contents; the Greek alphabet; Manuscript codes; About the EOB NT; Image of Codex Sinaiticus; Intro to Gospels and Acts. – Five Appendices: Presbyters & Bishops; Church & Apostles; Jesus & Theos (God); The Trinity & The Filioque Controversy; The ´Brothers`of the Lord. Comments: Hardcover large octavo, adhesive binding; 668 & (4) pp. 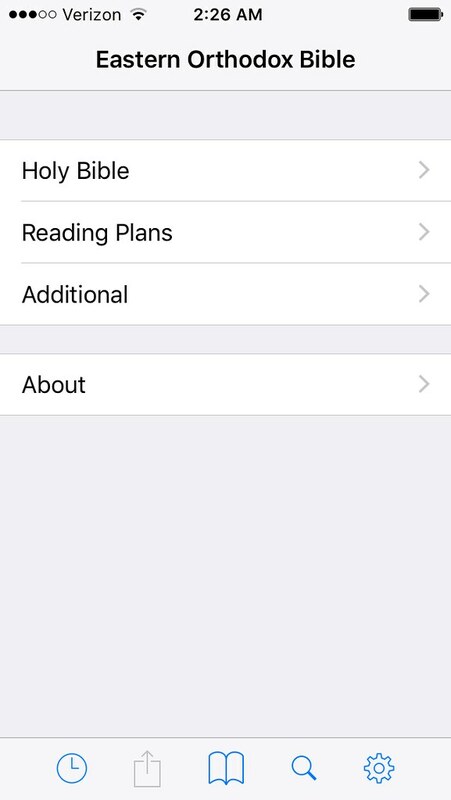 Scripture text in single column, paragraph-wise with headings. Brief explanations, variant readings and cross references in footnotes. Superscriptions also in Greek. OT– Citations in italics. All books are introduced. In “About the EOB“ (33 pp) the manuscript histories of the Textus receptus, the Majority Text etc. and its English translations (KJV and NKJV) are discussed, in connection with which stress in laid upon the considerable influence of the Patriarchal Text (PT). All the other texts along with their English representatives (Critical Texts > NIV, RSV) are also addressed. 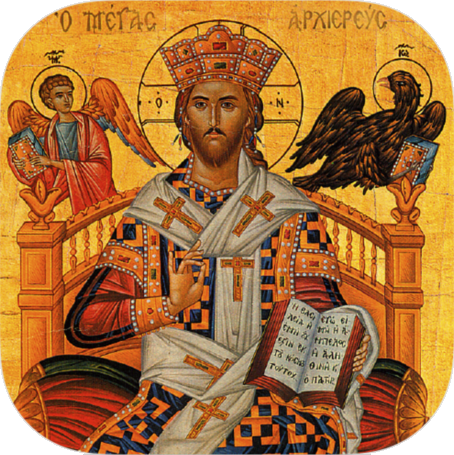 The EOB project which began as a revision of the World English Bible (WEB) is based on the official text of the Ecumenical Patriarchate of Constantinople with constant references to the Majority text, Textus receptus and the Critical texts. The appendices, 90 plus pp, contain several aspects of NT theology, primarily those of divisive character between the various Christian denominations; relevant verses regarding these issues are cited from the KJV, RSV, NAS, NIV, Young´ s etc. for comparison. 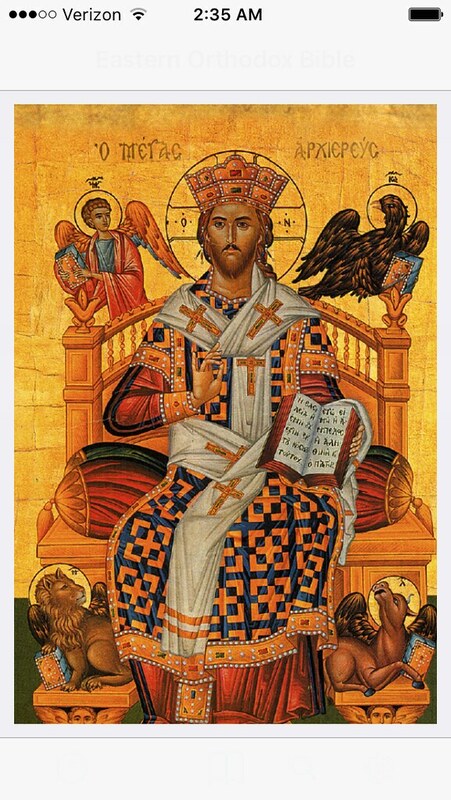 "The EOB NT is a scholarly translation which can be used for study purposes as well as for liturgical use; it is independent from commercial, non–Orthodox translations. The (oncoming) Old Testament is based on the Septuagint (LXX) but documents all significant variants with the Hebrew/ Masoretic text." Comments: This is an application or "app" for the iPhone.